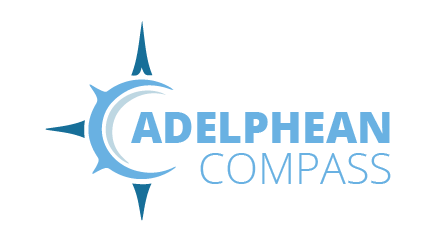 The Adelphean Compass leadership program is one of Alpha Delta Pi’s signature leadership programs designed specifically for women and emphasizes a focus on Leading with Self, Vision, Action, and Relationships. Held every year in January, the program is attended by chapter presidents and is funded by a generous grant from the Alpha Delta Pi Foundation. Leading with Self centers on self-awareness, managing stress, and working with and supporting other women, while Leading with Action focuses on structures, systems, and processes, effective decision making, and accountability. In Leading with Relationships, participants gain an understanding of different perspectives and motivations, what it means to commit, how to establish trust, building teams, creating shared values, and how to navigate relationship roadblocks. Finally, in Leading with Vision, participants learn to take initiative, clarify a strategic focus, and act as an inspirational role model. At the end of the program, each participant documents a commitment stating what they have learned and how they will apply it to their chapter and their everyday life.